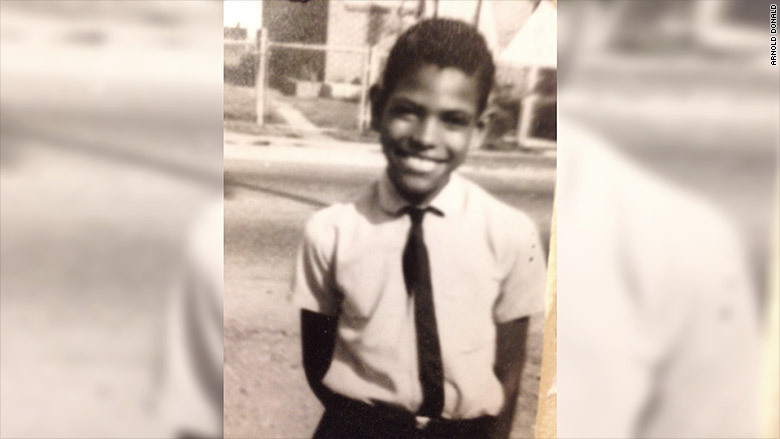 Arnold Donald grew up in the Ninth Ward, one of New Orleans' poorest crime-ridden neighborhoods. 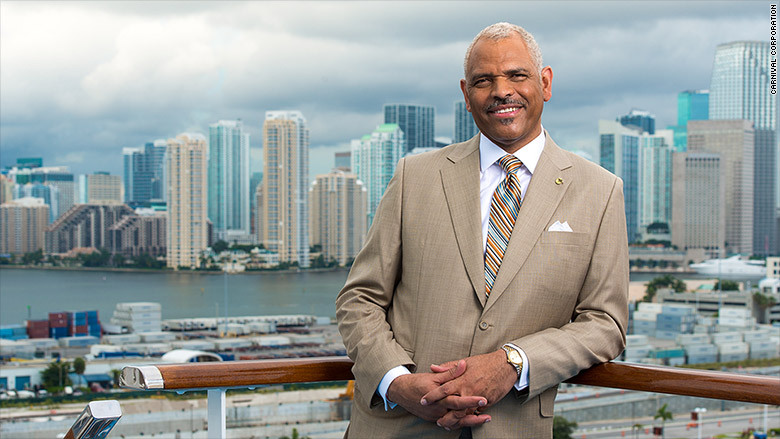 But that didn't stop him from forging his own path and becoming CEO of Carnival Corp., the largest cruise ship operator in the world. In the two years he's been at Carnival (CCL), he has streamlined operations and grown the company's market cap from roughly $25 billion to about $37 billion. Prior to that, he spent roughly two decades at Monsanto before joining a group of investors who bought the company's Equal sugar substitute division to form Merisant, which he ran for three years. Donald says he couldn't have notched these successes without the guidance of his watchful mother and the loving home his father built. He also credits his high school, where his teachers encouraged his ambitions. But it was his older sister, Yvonne, who may have had the most impact. "She wanted to be a teacher. I was her only 'student.' She taught me to read and write and do stuff with arithmetic. When I got to kindergarten, they thought I was some kind of genius," he said. 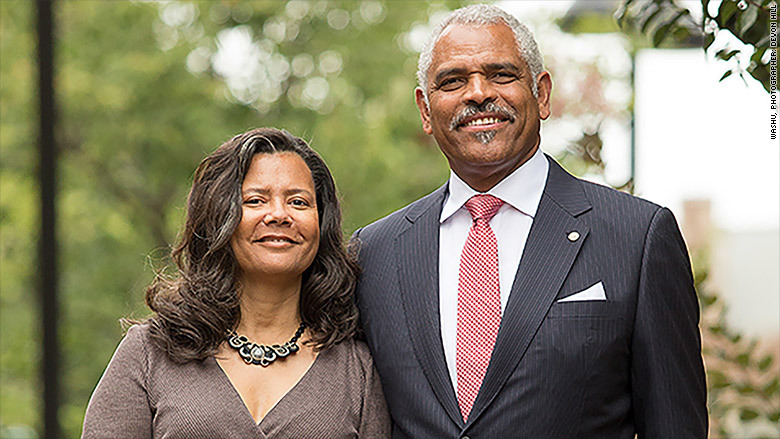 Her classes were his own personal Head Start program and formed the foundations of a successful education and career. Arnold Donald grew up in the Ninth Ward neighborhood of New Orleans. I was born in 1954, in a house that my dad built. I grew up on Louisa Street. The Desire Projects [the biggest public housing development in the U.S. at the time] were just a few blocks away. I was one of five kids by birth. But over time, there were also 27 foster children. We had fun in the Ninth Ward, but there were a lot of murders, stabbings, and shootings. But when you're growing up in it, you don't know it's all that. It was a time of change: John F. Kennedy, Martin Luther King and the Civil Rights movement. My high school, St. Augustine, filed lawsuits in the U.S. Supreme Court to compete in athletics and for the band to march in the Mardi Gras parade, which was segregated. I was in the band in 8th grade. It was the first time a black band marched in the parade. 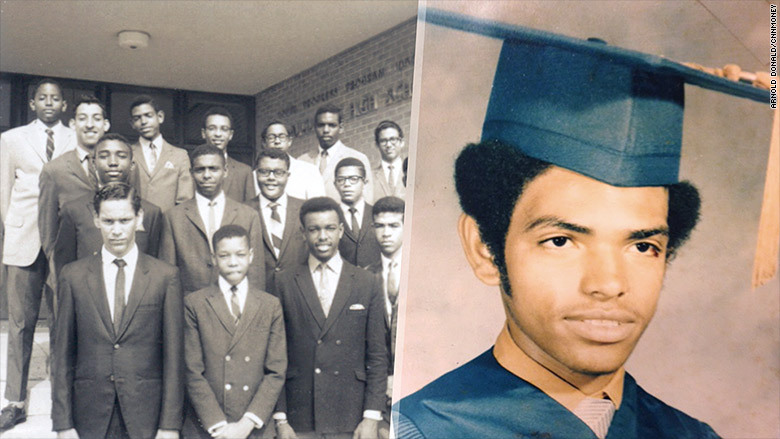 Arnold Donald -- in back row, second to left -- as a student at St. Augustine High School in New Orleans. Image on right, Donald in his graduation cap and gown. What was the biggest challenge you ever encountered and how did you overcome it? Society was telling us, as African-Americans, that we were inferior. "You can't drink out of this water fountain. You can't use this bathroom. You can't sit here on the bus." But by the time I got into elementary school, things were starting to change. Then, the biggest challenge became aspiration and self-confidence. There were lots of people saying, "You'll be lucky to get a job. You'll be lucky to finish high school, let alone go to college." Even those closest to you would only encourage you to aspire to so much. In their lifetime, they had never seen anybody have the opportunity to do much. 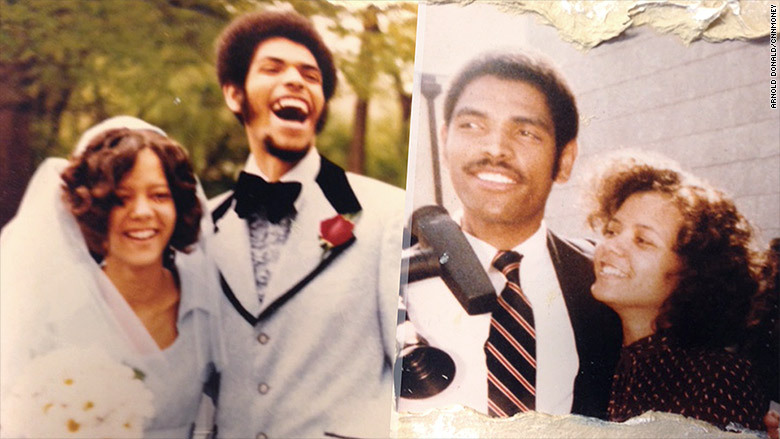 I overcame that with tremendous support and guidance. My high school was awesome. Three times a day this message would play on the PA system: "Gentlemen, prepare yourselves, you're going to run the world." It taught us to say, "I don't care what society is telling you. You can be whatever you want to be if you apply yourself and don't make any excuses." My junior year in high school, I decided I was going to become a general manager at a science-based global Fortune 50 company. Nobody in my family was in business. I had never met a CEO, but I mapped out a plan, and I did it! Arnold with his wife Hazel. First, I decided I'd get two undergraduate degrees, liberal arts and engineering, to give me the background I needed. I went to Carleton College for my economics degree first and then got my engineering degree from Washington University. I knew those two degrees would differentiate me. Then, I'd go to one of the top business schools in the country. And that's what I did. I went to the University of Chicago graduate school for business and I mapped out every job I was going to need to make certain I was successful. Would you say you worked harder than most of your peers? I was always highly self-motivated. When the library bus would come around to the neighborhood for summer reading -- you get ribbons for reading so many books -- I'd try to do all my summer reading in a week. In high school, I worked really hard. I can't say I worked harder than anybody else, but I enjoyed doing the work. I got a lot of positive reinforcement and it helped me. 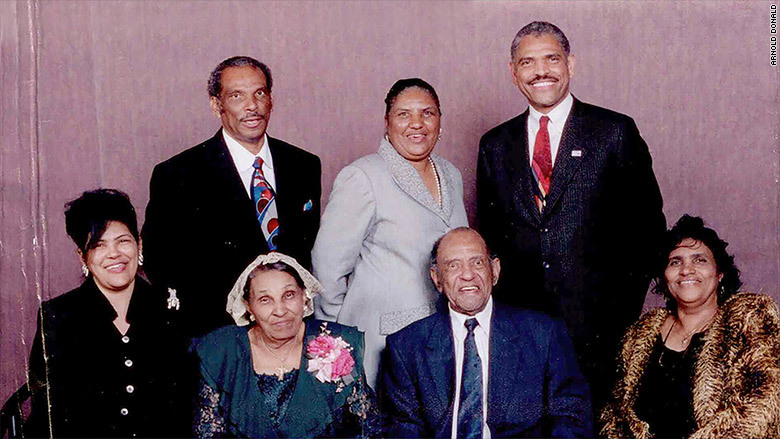 Arnold Donald (back right) with his family. I've had so many big breaks. The first one was purely being born into my family. After that, it was integration. It allowed me go to the parish school, and then to go to St. Augustine's. Going to St. Augustine's changed everything. It took me out of my neighborhood. It gave me much greater aspirations and equipped me to realize them. As the assistant to the dean of the school of engineering at Washington University, my job was to place students for summer jobs. I placed a bunch of students at Monsanto. The company asked, "Well, what about you?" One thing led to another and I ended up working for Monsanto that summer. I met with the chairman and CEO of the company. It freaked out my supervisor. He said, "you can't just make an appointment with the CEO!" I built a great relationship with the company. When I finished business school, Monsanto was afraid I'd go somewhere else and offered me all these crazy jobs. I ended up taking one at a start-up agricultural project in St. Louis. That was my next big break. I went in with a transitional job in market research and eventually would run the agricultural division. Is there something that you do every single day that helps you? I'm thankful to the power above. That's the first and last thing I do every day. Also, I listen. At Carnival, if I listen to our guests, they'll tell me how to fulfill their expectations. Our employees tell me how to deliver what the guests want. Shareholders tell us what will keep them happy. If you listen, the answers will reveal themselves. Arnold and his wife Hazel. I built a home and I have a massive fireplace. Engraved in it in ancient Greek is: "Education is the portal to prosperity." In that phrase, prosperity doesn't mean money, it means fullness of life. It's to experience love, to share love and to feel love. I know a lot of wealthy people that are miserable. That's not success. I know some poor people who are really happy. Not out of lack of knowledge, but happy with a lot of knowledge. To me, that's success.